NGA Recent Acquisitions 1974, no. 135. Morandi: Master of Modern Still Life, The Phillips Collection, Washington, 2009, unnumbered catalogue. Morandi: Master of Modern Still Life, The Phillips Collection, Washington, 21 Feb - 24 May 2009. Vitali, Lamberto. 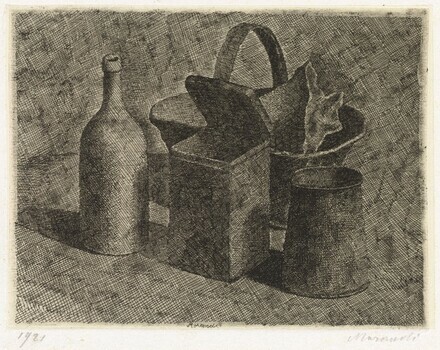 L'Opera grafica di Giorgio Morandi. 2nd ed. Turin: Giulio Einaudi, 1964.